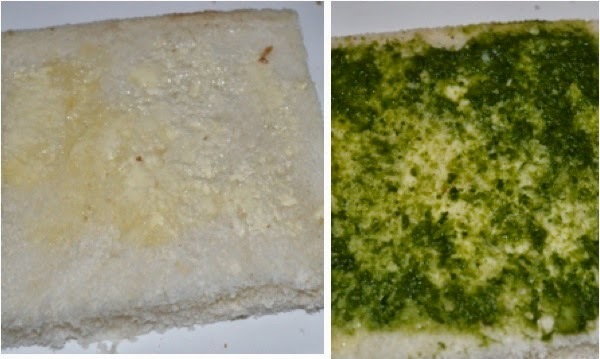 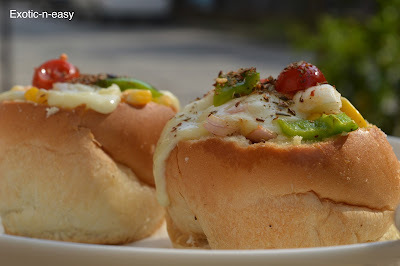 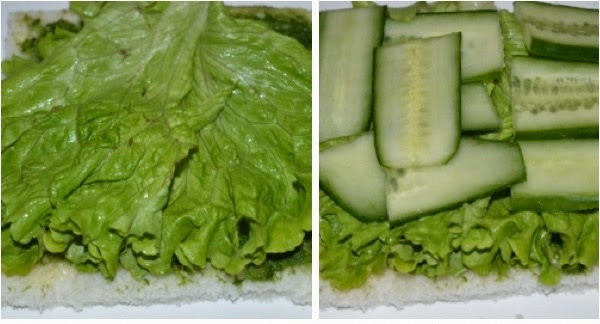 Take bread slices and remove the sides of each bread. 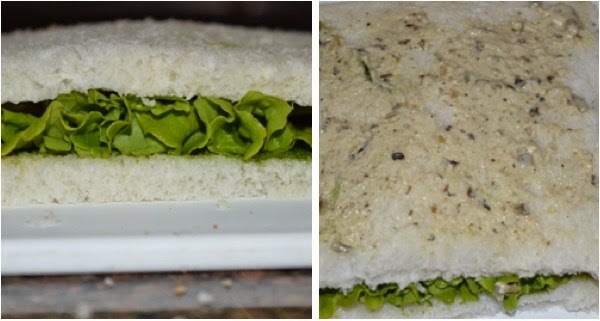 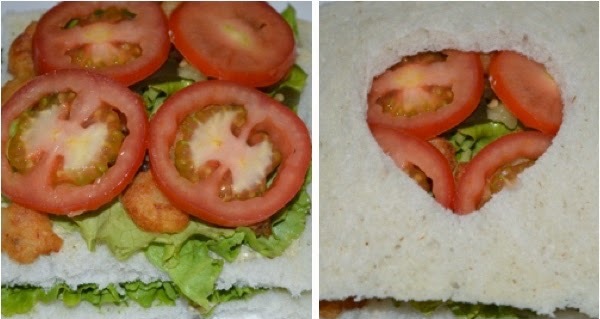 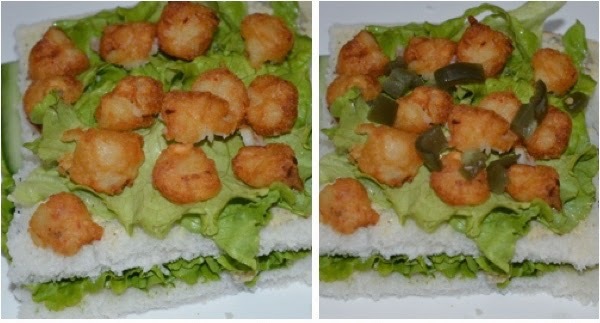 In each sandwich we will use 3 bread slices. 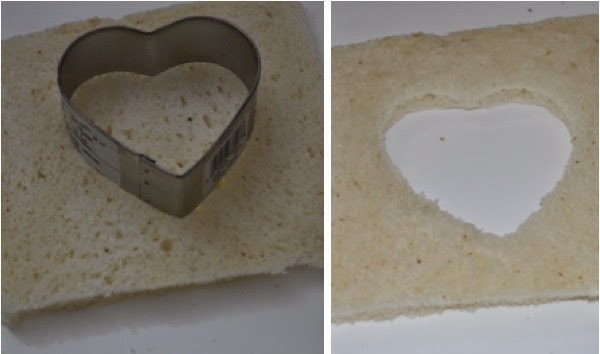 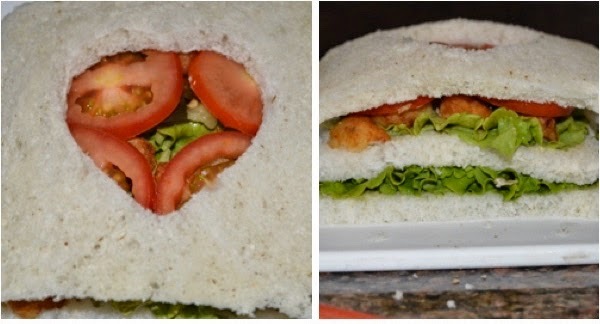 Now take the bread slice which is to be kept on the top, with the help of heart shape cookie cutter from the centre cut the middle portion of the bread.